7:00 am until 2:00 pm. They do have beverages, snacks, and adult beverages available for sale. *We will provide all life jackets. All children under the age of 10 MUST wear a life jacket before boarding any boat tour due to Florida Boat Laws. Please make sure your child is wearing the life jacket we provide for them before walking onto the docks to assure safety for your child. *Please feel free to wear swimsuits with a light coverup and bring a towel. Footwear can be flip flops or sneakers- which ever you prefer. During your shelling time at the barrier island, you can shell or go for a refreshing swim if you would like, so please plan your wardrobe accordingly. During the breezier months, please bring a heavier coverup, if preferred. *Free on site parking area, as well as, clean restrooms available at our launch site to all tour guests. *Complimentary pictures and videos will be sent to you after your tour with us. We have waterproof & floatable cameras and will make sure to get great photos & videos of your time with us. Feel free to take your own photos & videos, but please remember that smart phones become dumb phones really quick when they get wet. *Dolphin sightings are guaranteed on every Dolphin's & Friend's tour. *Our boats are built for 12 people, but we never take more than 6 guests. This insures plenty of room for everyone. Shade in the back of the boat and sun in the front of the boat. Every seat will be the best seat and no seat will be bad. *Gratuities for tour guides are always greatly appreciated. We recommend that you give a minimum of 15% cash gratuity to your tour guide at the end of your tour. If you need to add gratuity on your credit card, we can easily add it to your payment at the time of your tour. Either way is fine by us and 100% of gratuities go directly to your guide. 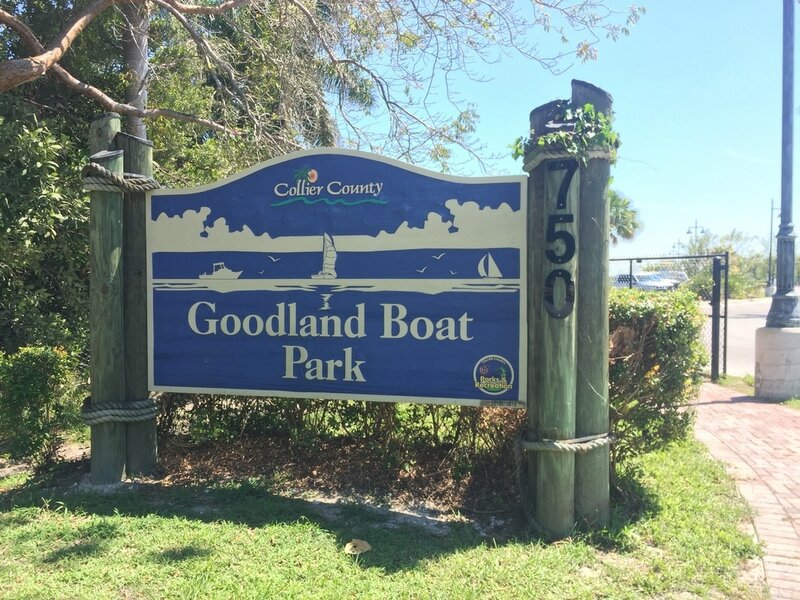 All boat tours launch from Goodland Boat Park. If you have a reservation, please meet us at this location under the pavilion as shown below.